With the New Hampshire primary just days away, we thought this would be a good opportunity for a trivia question you won’t take for Granite. Since 1952, what presidential candidate who went on to win the White House received the LOWEST percentage of votes in the New Hampshire primary that year? The previous week’s question was: When was the last time the two major-party presidential nominees hailed from the same state? The answer: 1944. 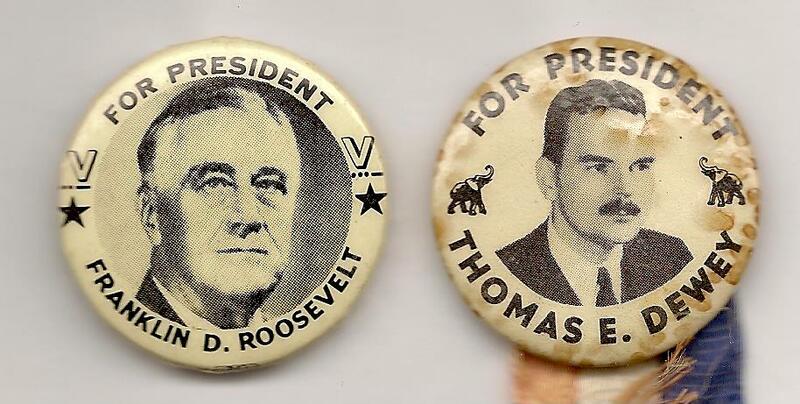 President Franklin D. Roosevelt, seeking a fourth term, vs. Thomas Dewey. Both were New Yorkers. Dewey was the incumbent governor of the Empire State. FDR had been governor before coming to the White House. The randomly-selected winner is Justin Hower of New York City. He gets the coveted Political Junkie button Justin the nick of time.